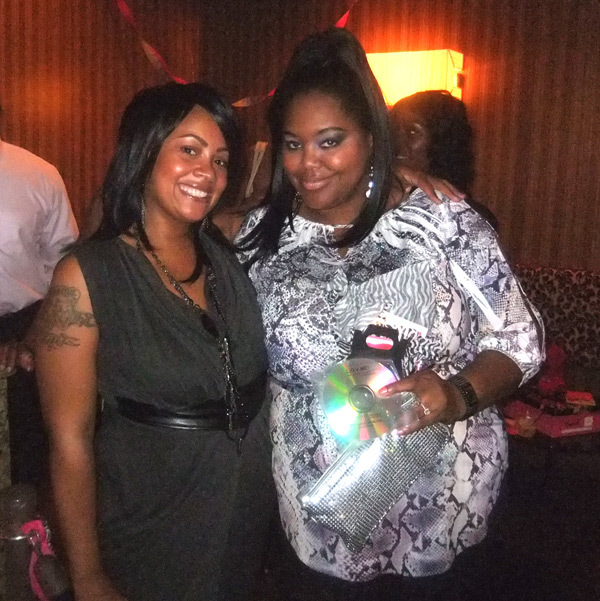 Glam and glitz were on full display at the Mbar & Fuse Lounge for the ultra fab launch party for the GlamShopOnline.com. 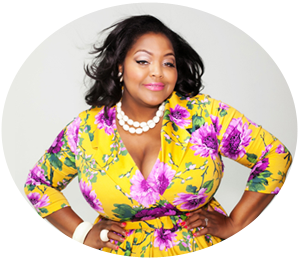 Visionista and Owner, April Lamons, rolled out the chic-carpet for the unveiling of her innovative online boutique, Glam Shop Online. This virtual boutique features chic apparel, shoes, and accessories that are both haute and alluring…with new styles added daily! Ok, so we Fashionistas-On-The-Go are always looking for the hottest trends, but we don’t have time to visit the local boutique. So what do we do? Hmmm… Well, here’s the solution. From the convenience of your home, or office (or anywhere you get your glam on), you can find the “hautest styles” like you just walked into a trendy boutique. Glam Shop Online offers this experience in a virtual emporium featuring the latest trends and the season’s forthcoming styles, all at the click of your mouse. How haute is that!? 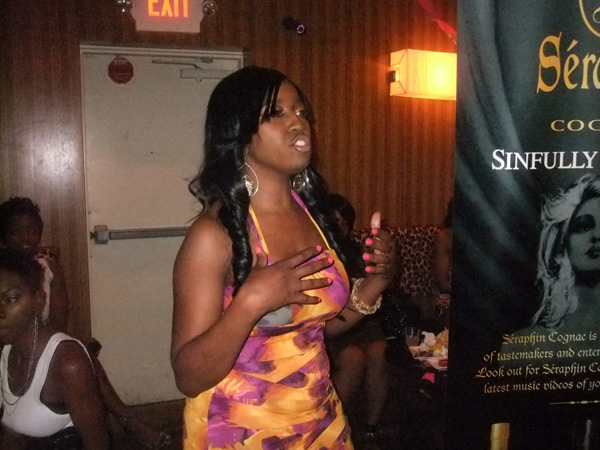 The event was a glamorous affair which featured Seraphin Cognac, who provided the cocktails, while DJ Mami Chula kept the music going, and Actress and TV/Radio personality Tangie Larkin emceed the event…and let me tell you, Tangie was in rare form. Oh! Guess who won an audio copy of Tangie’s book L.O.V-ME during the giveaway? …….ME! Yeah!!! I can’t wait to check it out during my Monday morning commute. 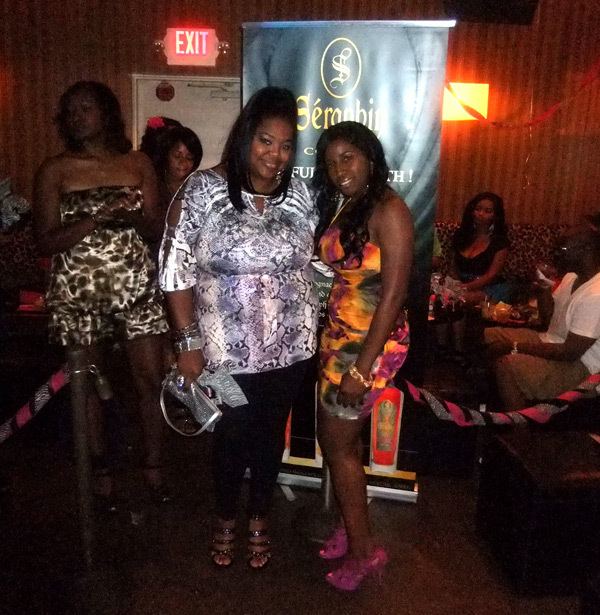 The event also featured models in a runway exhibition showcasing pieces from the Glam Shop Online collection. The pieces were fab, or course, and so were the models. It was great seeing the models in the actual pieces from the online store. The highlight of the night was during April Lamons’ speech, where she challenged us to aspire to always follow our dreams without ever giving up. Words of wisdom from a woman who is living her dream, IN STYLE! Thanks for your support at the event! This story rocks! I look forward to working with you in the near future! You are welcome!!! I look forward as well!! !